With another disappointing season winding down, the Red Wings are facing handful of questions heading into the summer. 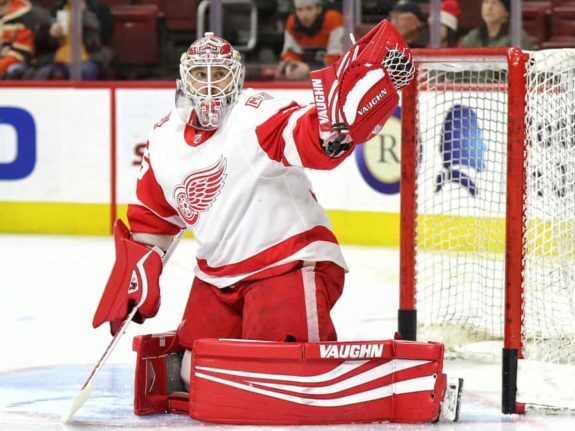 That offseason to-do list won’t include a new contract for Jimmy Howard, who signed a one-year extension last week. Coach Jeff Blashill is reportedly on the verge of a new deal as well. However, Ken Holland will still be a busy man regardless. 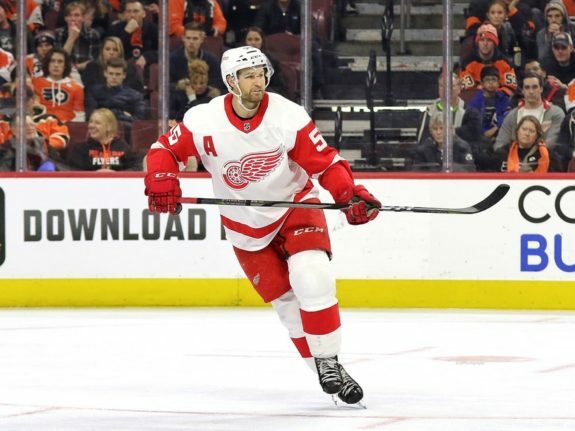 In this week’s edition of The Grind Line, The Hockey Writers’ Red Wings coverage team dives into the most pressing questions facing Hockeytown this summer. After reading, be sure to share your takes in the comments section below. Is Andreas Athanasiou a Center or Wing? I believe Andreas Athanasiou’s skill set is best suited for the wing. But until the Red Wings bring in a true second-line center, he’s their top option for the role. Since the trade deadline and his move to center, Athanasiou has led the Red Wings with six goals and nine points. He’s also hovering around 50 percent for faceoffs during that time. However, his speed is best utilized when he can stretch out the defense when the Red Wings are breaking the puck out – not something a responsible center can typically do. In the interim, play Athanasiou at center to develop his game. The long-term goal, though, should be to find a No. 2 center and have “AA” flank him on the wing – he’ll be much more dangerous there. With the Red Wings struggling as much as they are to generate offense, having Athanasiou as a center or wing would be beneficial. Though he is more efficient and used to playing along the boards, teaching him to occupy center will be a good long-term decision. Being as fast as he his, Athanasiou can fill the center lane adequately and, given time, could prove to be as comfortable there as he would be on a wing. The Grand Rapids Griffins utilizes a dual purpose mentality with Turner Elson, and it could be successful with AA as well. Having a multi-faceted forward can be a dangerous weapon on special teams, as well as encouraging a stronger understanding of the ice and space. Will the Red Wings Re-Sign Niklas Kronwall? Given the campaign he’s having so far, I think Niklas Kronwall will want to come back for one more season. The Red Wings are on the verge of improving, and Kronwall would likely prefer to leave the organization when the trajectory is moving up, rather than down. If the Red Wings indeed decide to re-sign Kronwall, the cap hit would likely be palatable – he’s making $1.75 million this season, though his AAV is $4.75 million. Detroit would just need to move out another veteran defenseman to make room. Dennis Cholowski, Filip Hronek, Madison Bowey, and Joe Hicketts should be on the roster, so one or two of Trevor Daley, Mike Green, Danny DeKeyser, and Jonathan Ericsson will need to go if Kronwall returns. After Henrik Zetterberg’s departure, it was evident that Kronwall was saw the writing on the wall, in my opinion. Being 38 now, and having struggled with extremely painful knee injuries for years, Kronwall will likely call it quits after this season. However, if Kronwall feels like he has a little more juice left in him, then the Red Wings would be more than happy to have him back another season. Though the cap is always a lingering issue, Kronwall is a valuable asset on the ice and provides world-class leadership. He’s a smart player and patient, which has contributed to the development of the youngsters who will soon be taking his place. Without Zetterberg, the entire nucleus of the team has been struggling, so if Kronwall were to want to play more, I don’t think the Red Wings would hesitate to welcome him back. Does Steve Yzerman Come Home to the Red Wings? Where there’s smoke, there’s fire. And there’s been a lot of smoke around the Red Wings and Steve Yzerman. I don’t think Yzerman takes on an active role until later in the summer, though. I think Holland and his team will manage the draft and free agency since a lot of work has already been put into those activities. It wouldn’t make much sense for Yzerman to walk in, take control in whatever capacity he’s given, and start from scratch with his approach. Once things start to pick up for the 2019-20 season, that’s when I believe we’ll see Yzerman begin to make changes. As Tony mentioned, there has been considerable chatter about the return of Yzerman. His rather timely departure from the Tampa Bay Lightning served as a light at the end of the tunnel for Detroit fans and I believe there is merit in their hope. With Holland still holding down the fort in Detroit, Yzerman’s immediate employment may not be in the cards, but I think he’ll have a bigger role than some might expect. As a player and general manager, he was an innovator, smart, and strategic, which is exactly what Detroit needs to put the finishing touches on the rebuild. It is my belief that Stevie’s return is what Holland has had in mind over the last season and has been planning accordingly. How should the Detroit Red Wings approach the offseason? Share your thoughts below.